TMR Editor’s Note: The video of British investigative journalist John Sweeney posted above provides great insight into the type of characters that the UK Intelligence Community employs to do their dirty work. Sweeney was one of the first journalists to aggressively promote the utterly bogus ‘Trump-Russia Collusion’ narrative. He has produced obvious hit pieces on President Putin and President Trump in order to bolster that fictitious conspiracy theory. The Telegraph article posted below illustrates how other major MSM organs of propaganda and disinformation all mutually support each other in propping up the transparently fabricated story. This article is so full of naked propaganda and false info that it reeks of MI6 input. It’s quite likely that the vast majorities of MSM articles like these are the product of MI6, MI5 and GCHQ collaboration. Truly, the British establishment has been running The Great Game against Russia for centuries, and they are only getting more determined to take over the Motherland again. They did it once by turning the country into a massive concentration camp by forming the Soviet Union via the Bolshevik Revolution. This time around they are attempting to trigger a World War III scenario between the USA and Russia. Intel agents masquerading as journalists such as John Sweeney are useful pawns who continually throw fuel on the fire that could literally lead to a hot phase of WW3. 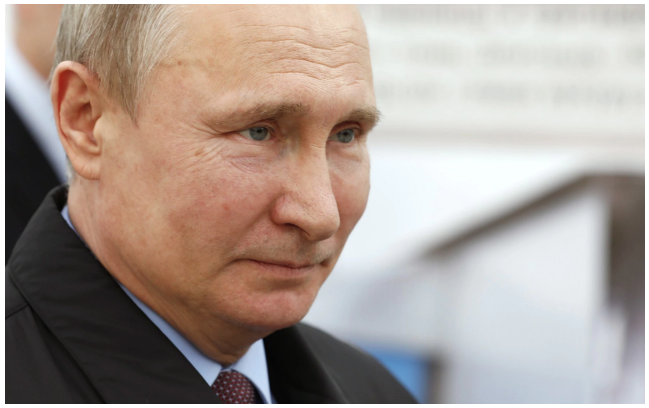 As the diplomatic fallout from the Salisbury spy poisoningcontinued, Panorama’s John Sweeney delivered a chilling portrait of the fate that can await those daring to oppose Russian President Vladimir Putin on home soil in Taking on Putin(BBC One). 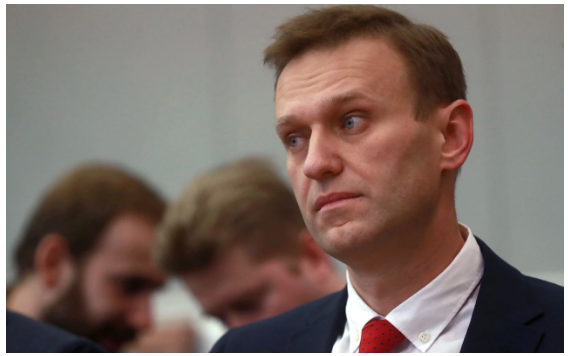 Unfolding like a ghastly John le Carré parody, the report, which comes ahead of Sunday’s Russian Presidential election, saw Sweeney followed by what he believed to be agents of the Kremlin. He was meeting anti-Putin opposition campaigners who, as part of the crackdown against their activities, had been arrested and in several instances viciously beaten. The paranoia was all pervading – as palpable as the winter gloom pressing low over Moscow and St Petersburg. “Is Russia a police state?” he asked Alexei Navalny, the anti-Kremlin activist prohibited from standing against Putin and almost blinded when splashed with chemical agents by an unidentified assailant in May 2017. “Absolutely, 100 per cent,” came the response. A grim, Kafka-esque humour occasionally manifested and I was reminded of the old Cold War joke that “in Soviet Russia, the TV watches you”. An interview with a far right group culminated with the hardliners leading Sweeney on a walk through central Moscow so that he could observe them removing a plaque commemorating assassinated Putin opponent Boris Nemtsov. Upon their release they were sprung upon by reporters from a pro-Putin TV network. The same happened in St Petersburg, where a shadowy Renault had earlier trailed their car through rush-hour. Later, Sweeney made the evening news, described as an “infamous BBC journalist” and, again, accused of defiling Nemtsov’s plaque. Salisbury was referenced briefly at the beginning, with Sweeney noting that the “Kremlin is suspected of poisoning its enemies in Britain”. Next came footage of Putin telling an audience that traitors would “kick the bucket”. Nobody from the regime was willing to speak to Panorama, he said. However, an MP insisted Russia was as much a democracy as anywhere in Western Europe and that, in terms of media freedom, it eclipsed the UK. Sweeney, whose 2017 documentary Trump: The Kremlin Candidate? probed links between Russia and the Trump campaign, was a dogged, feisty presence. He didn’t pretend to be immune to the menace that appeared to linger on the grim post-Soviet streets and his calm visibly, and understandably, cracked when confronted by local journalists. He didn’t, it is true, tell us anything we didn’t already know – does anyone really need to be disabused of the idea that Russia is a free and fair democracy? But he captured the oppressiveness that is seemingly part of daily life in a country where, as one activist recounted, standing up the deep state can earn you a cosh across the head from a thug wielding a metal pipe.